It's been a harsh winter in Delaware this year. Well, all over the Northeast it's been a snowy, freezing wonderland. I say 'wonderland' because I adore the winter, which is a sharp contrast to most people who are totally sick of all this snow. I think it's beautiful, clean, fresh... I love it. We've probably had 3+ feet of snow total, just in January. That might be an exaggeration... I am known for that. But it seems like we get snow every week. Plus freezing rain, sleet and more snow. It covers everything in this beautiful white blanket. How could you hate it? It was 30 degrees when I woke up this morning. Mom, my sister Ashley and I decided to meet up at a local coffee shop down by the beach. I adore this place. My grandparents used to own a beach house in this little coastal town. 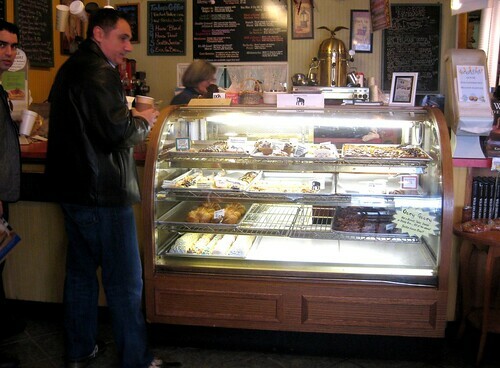 I can remember when I was a little girl, going to this bakery almost every morning to get a pastry and hot chocolate. I have so many good memories there. The lady who owns it, Amy, roasts her own coffee beans and makes the pastries fresh every morning. When you walk in, the smell is incredible. I think that's what Heaven is going to smell like. I asked if I could just take this whole tray of chocolate croissants, but they said no because other people would want some too. Then I asked for the recipe but it's a secret. Rude. Just kidding. That never happened. I saw the whole tray of chocolate croissants and then quickly remembered my bridesmaids dress and decided just to buy one. 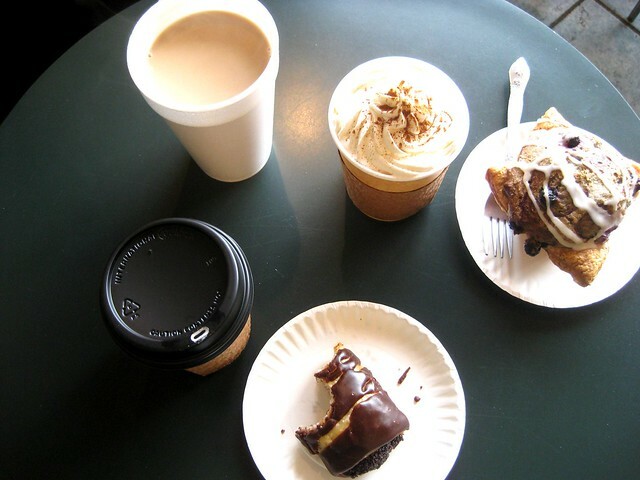 We sat by the window with our hot drinks and pastries. There was a fire lit in the fireplace right beside us. It was quiet, lovely, warm, happy... We chatted about babies and weddings and all the exciting things that are going on this year. It was a great start to a chilly Saturday. Michael is coming over later and I'm testing a few recipes, so stay tuned for those next week. Looks like a perfect morning to me! 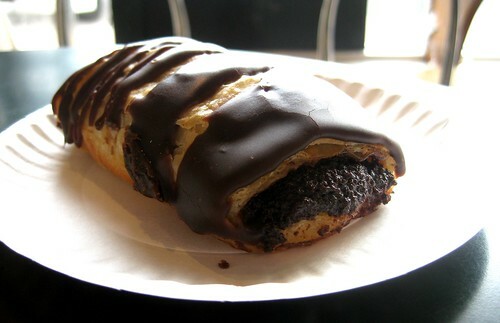 I'm drooling over those chocolate croissants! I so enjoyed this post and the pictures! 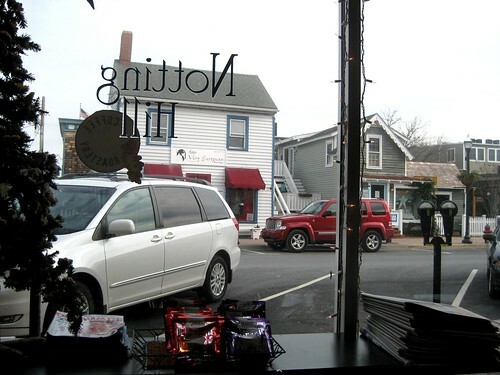 I'm from NJ and have been in FLA for seven years, and while I love the weather, I miss the bakeries and quaintness of small towns. This brought back some nice memories I needed today! This winter has been quite the pooper but it looks like you made the best of it this morning. What a cute little place. Delaware is so pretty. 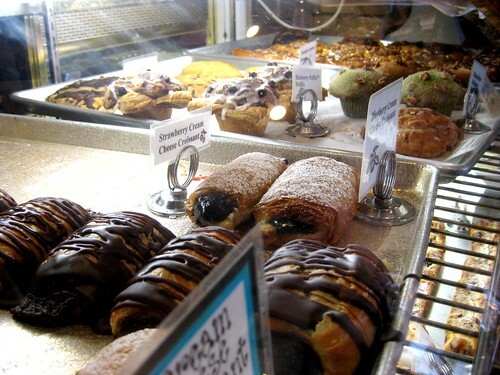 Oh man, if I had a pastry place like that near my house I wouldn't be able to resist buying at least five of those! Delicious. 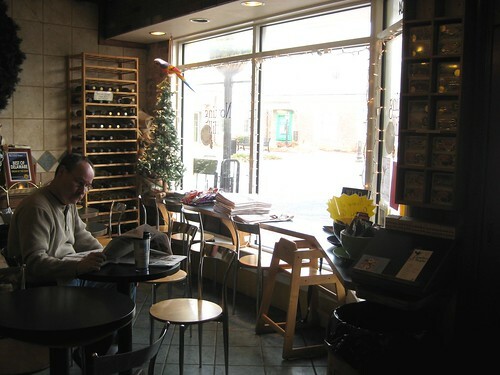 i love hanging out at coffee shops... just love it! !